They say that the way we dress says a lot about us. During weddings- the outfit, make-up, jewelleries, footwear and even accessories that we choose to wear says a lot about the culture and the community that we come from. 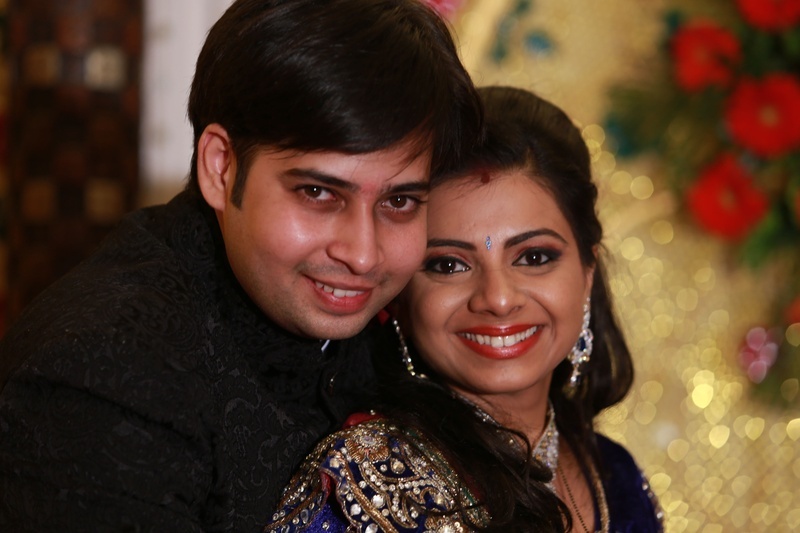 Bhakti and Munal got in touch with their roots through their Gujju marriage. 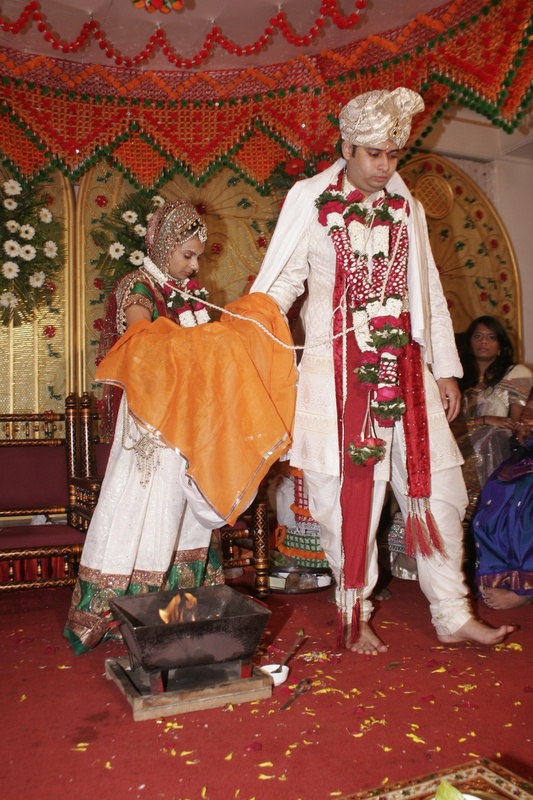 The Varmala ceremony took place in the Angan Classic Hall. 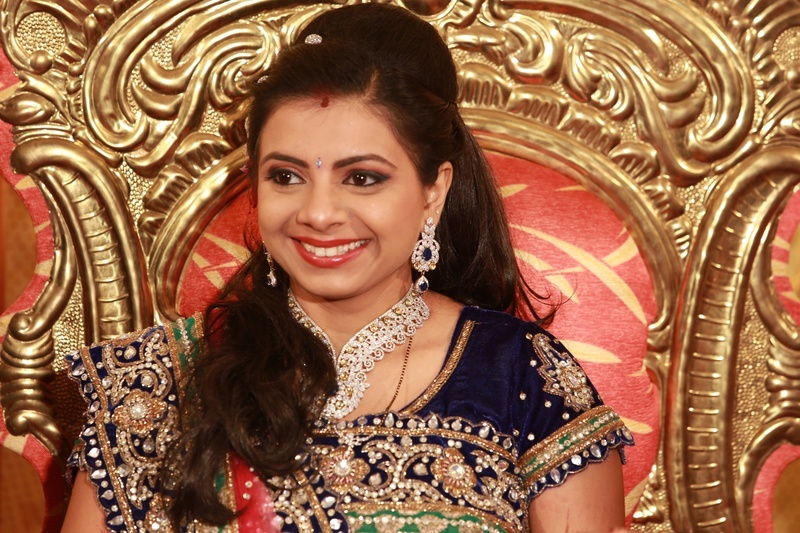 Looking prettier than one could ever imagine, Bhakti adorned heavy and ethnic jewelleries that was greatly paired with her traditional outfit. Just above her eyebrows were these multiple bindis that gave her face a really nice appearance. 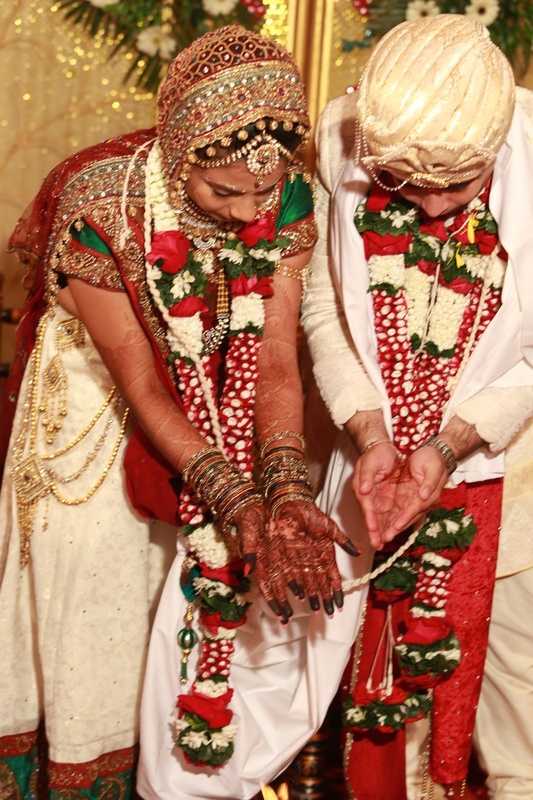 Munal wore a cream shervani and a white dupatta with a safa that had gold laces on it. Their evening wear was a lot more impressive than the traditional one. 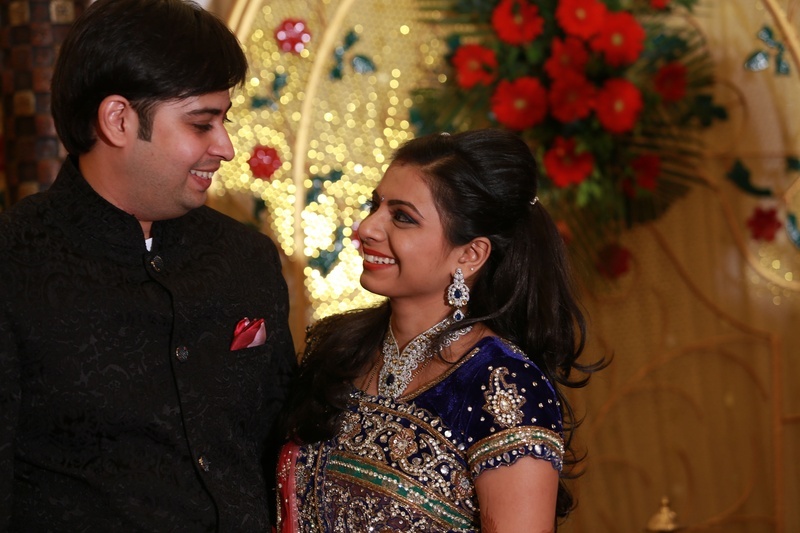 The groom wore a black Indo-Western outfit with intricate embroidery and a red pocket square. 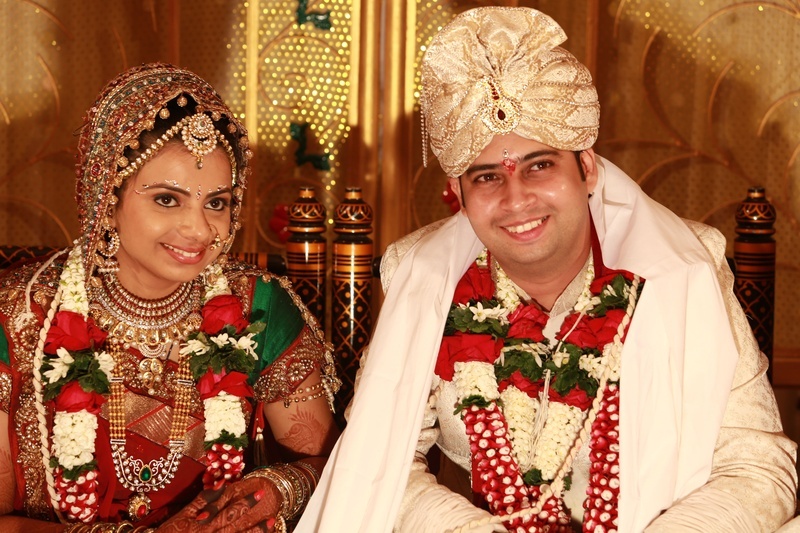 Bride’s colourful saree had amazing gold, mirror and threadwork on it. Her platinum necklace and ear rings, with a matching stone to her outfit was a cherry on the cake.